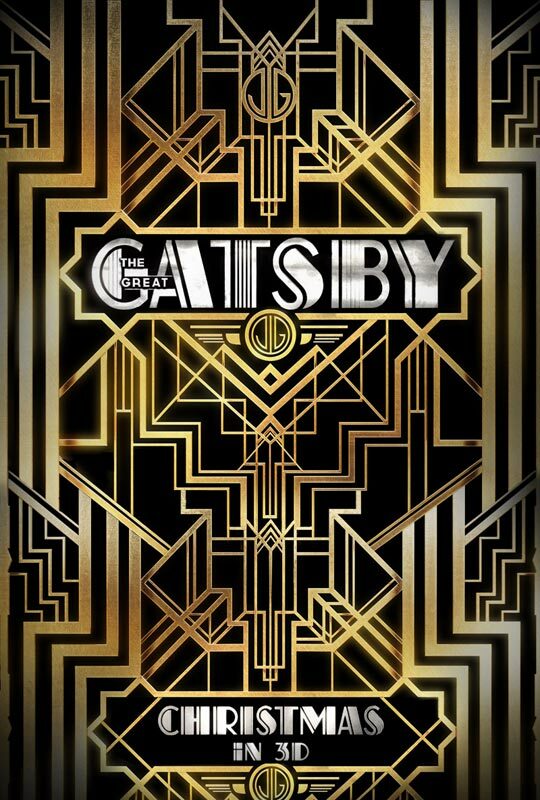 The best things about this movie has nothing to do with the film itself per se: I feel like picking up F. Scott Fitzgerald's book again (the best lines were his words) and give it another go ahead, I miss Amy Winehouse, Florence Welch has a very haunting voice and I really got to watch R+J again. The show is a mess! From the beginning to the end, and I already came in with lowered expectations. No wonder it was taken out of last year's award season. Someone really need to curtail Baz Luhrmann's penchant for excessiveness! Luhrmann has notate a good movie ever since his Red Curtains Trilogy. He has an epic vision but his execution fails to fully encompass the grandeur and scope, and thus missing out on the heart;"Australia" failed because of that and now so does "Gatsby". The smaller intimate scenes (with only two or three characters) were actually much better executed, but also sometimes it felt as if I'm watching an extended music video/Vogue fashion spread. Then came the atrocious, messy, simplistic screenplay that he co-wrote with Craig Pearce. Everything was painted in broad strokes with a total lack of depth in characterisation. Lack of depth is acceptable if there were even any perception of depth, but even Gatsby and Daisy were written flat. The one thing he did well was the curation, together with Jay Z, of an excellent soundtrack. That OST, not the score (by Craig Armstrong), was more memorable than the images on screen. At least they fit the scene. Then, the cast...oh my! They were all seriously miscast with the most egregious mistake being casting Carey Mulligan as Daisy Fay. As much as I adore Mulligan since her debut in "An Education", her portrayal of Daisy was a distraction and lacked the character depth as hinted by Fitzgerald's words. Tobey Maguire was flat as The Narrator and his wide-eyed naïveté ingenue seemed insincere and overtly childlike, and his character development was non-existent until the final minutes. He served as the audience's/reader's surrogate yet we are never as stupefied or as naive as him. Leonardo diCaprio: he's a conundrum. Obviously this show was meant to be an Oscar bait, but the poor chap was over acting three-quarters of the time. The quiet, pensive, introspective scenes reminded us of the good actor that we glimpsed during "Revolutionary Road" and "Django Unchained". But, fault definitely also lay on the Luhrmann's feet as the director who could not get the best out of his star. When diCaprio embraced his Romantic male lead, reminiscent of their partnership back in R+J, and forgo the vague attempts at instilling dramatic Sorcese-like eccentricities to Gatsby, which was laughable more than laudable, he was undeniably charismatic and engaging. Joel Edgerton tried but his character appeared comedically, flatly villainous. Finally, the thematic layers in the novel, as hinted throughout by Fitzgerald's gorgeous prose, had all been stripped off leaving only the bare bones romance angle. Class struggle, love vs. life, self-identity vs. societal perception, societal pressure and change, decadence and idealism, etc etc. Gosh, the book must be a treasure trove of literary discussions. Set design, costumes and make-up might have a chance for Oscar nomination. It was a visually spectacular movie that can be enjoyed if we ignore any pretensions of it (supposedly) being good.